Gov. Bill Walker is using his final weeks in office to urge his Canadian counterpart in British Columbia to toughen regulations on mines in transboundary watersheds. It’s a position fisheries advocates have been pushing for. A mine can’t legally operate in Alaska unless the owner makes financial assurances it can pay for remediation. Basically, that’s cleaning things up to a point that satisfies regulators. 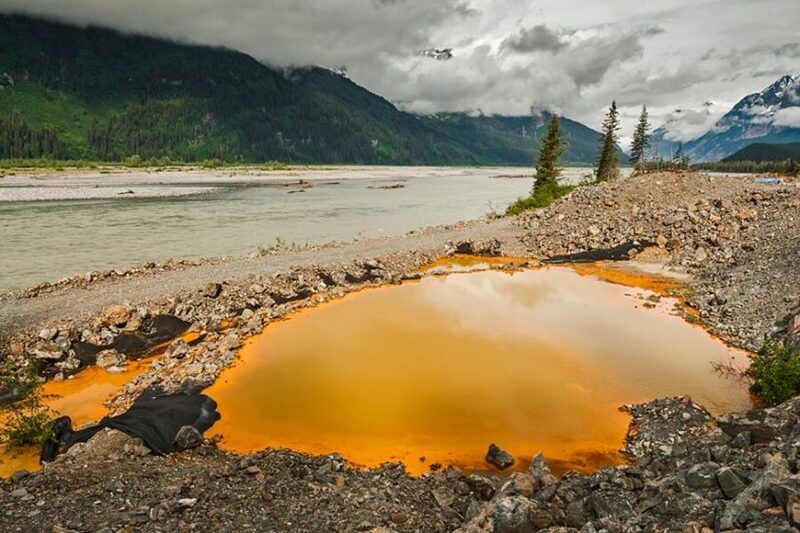 “Here in Alaska we require that mines put up a full reclamation bond that shows that a mine can clean up its mess, and that is not required in British Columbia,” said Heather Hardcastle of Salmon Beyond Borders, a group that campaigns against transboundary mine pollution. Her group has been urging Alaska’s governor to demand the same from British Columbia. On Wednesday, she got her wish after Governor Walker penned a two-page letter to British Columbia Premier John Horgan demanding financial assurances. “This letter in multiple paragraphs mentions it multiple times so it makes it very clear that financial assurances are a priority for Alaska,” said Ephraim Froehlich, the governor’s senior adviser on fish and game. He said recent contacts between the Walker administration and British Columbia’s minister for mines made it apparent the province wasn’t enthusiastic about adding that requirement. “And so it made it very clear that the governor had to make Alaska’s position crystal clear for the other side,” Froehlich said. Salmon advocates applaud the new position. That frustration is also felt by some in the Walker administration. That’s because there’s precedent for mine operators in British Columbia going bankrupt and walking away. Just upstream from Taku Inlet near Juneau, the former Tulsequah Chief Mine across the border, has been leeching acidic runoff for decades. The Taku River is an important salmon fishery in Southeast. The Taku River Tlingit First Nation in Canada also wrote the premier in September demanding the mine be cleaned up. Meanwhile, there’s a booming Golden Triangle mining area in British Columbia with additional metals mines being proposed just over the border. And there are fears of the owner of the Red Chris Mine going bankrupt and being unable to finish what it started. “We’re not going to be able to have confidence in British Columbia’s reclamation abilities of these mines that they are permitting at a pretty high rate if we do not see Tulsequah Chief be remediated and be cleaned up and properly dealt with,” he said. The Walker administration’s days are numbered. Froehlich said the letter states Alaska’s position clearly for whomever occupies the governor’s mansion next month. “We would hope that whatever administration comes in next takes a strong stance,” he said. The British Columbia premier’s office referred questions to the province’s Ministry of Energy, Mines and Petroleum Resources, which didn’t respond by Friday afternoon. Calls to the Mining Association of British Columbia weren’t returned Friday. Walker’s letter comes at a time that British Columbia is reviewing its mine reclamation laws. Province officials will accept public comments on recommended policy changes through Nov. 8.